Invisalign invisible braces can give you the perfect smile - without anyone knowing you’re wearing them. Invisalign aligners are completely transparent, allowing you to address teeth overcrowding, overbite, underbite or dental spacing without drawing attention to the treatment. Invisalign gradually moves your teeth using a series of invisible aligners which are changed every two weeks. You are given a complete set to use at home, minimising trips to the orthodontist. Invisalign aligners are removed before eating any solid foods, meaning that they will not impact your diet at all. They are very smooth, minimising any pain which could limit your diet. Since Invisalign aligners are removable, they are easy to clean. By regularly removing aligners to clean them (and teeth!) you can keep up great dental hygiene throughout the treatment. Treatment times vary depending on age and the degree of required movement. 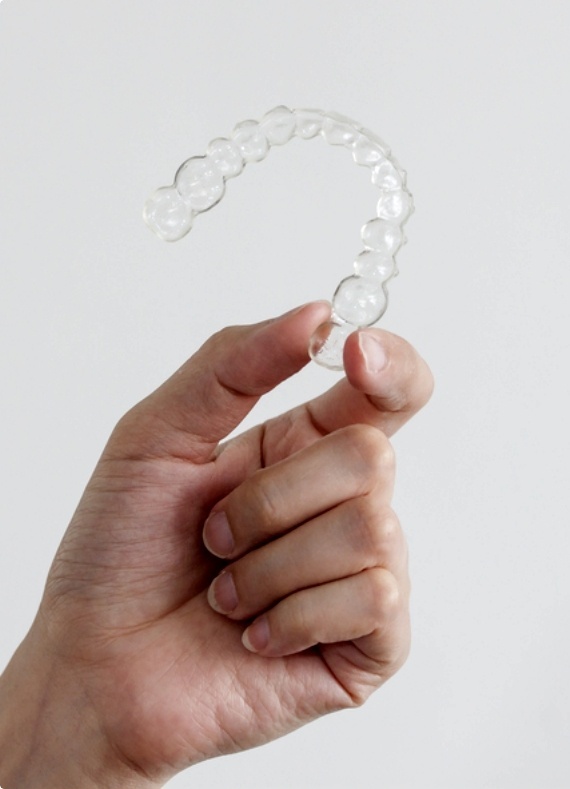 Most patients wear Invisalign for 12 to 14 months - generally longer than braces. Our first step is to to check whether Invisalign will be able to effectively treat your smile. We offer a free initial consultation for this. Click here to find out if you qualify for a free consultation. Next, 3D imaging technology is used to develop a series of clear, custom made Invisalign aligners which will gradually move your teeth into their new position. Every fortnight you change aligners to a new set of aligners that incrementally move your teeth, minimising pain and trips to the orthodontist. Even though Invisalign aligners are designed to be changed at home, we’ll still expect to see you every now and then to check progress is on track. The full cost of Invisalign will depend on your individual requirements. Invisalign aligners are covered under private health insurance policies that include standard orthodontic work. Enter your details to get a free Invisalign consultation.